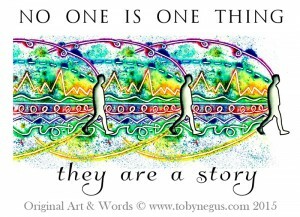 Toby Negus is an artist, both with paints and of the spirit. His work reflects a deep commitment to meeting life on its terms and an equally deep understanding of human nature. Toby has always been fascinated with how and why we do what we do and became a student to himself and the world around me at an early age. 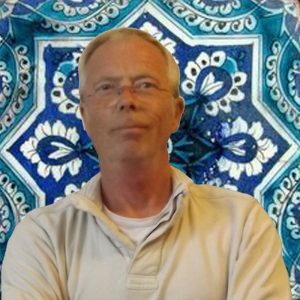 At 21 he joined a modern day ‘mystery school’ and spent 20 years in the study of the esoteric world of energy, ancient cultures, self-development and the hermetic laws. Within this, he became a teacher to groups in the UK, Israel and Denmark. This journey caused the acquisition of an abundant treasure of principles that help free the mind and heal the heart in practical and sustainable ways. His art flourished in the creation of the book The Sacred You, where he illustrated the deep and sometimes elusive principles within self-development. His work as now grown to a substantial collection of art and words that heal the heart and free the mind. He is currently working on a book entitled, The heart knows what the mind cannot see, a book that charts the journey of divining the divine within ourselves. Toby lives by the beautiful Breacon Beacons in Wales and close to the sea where he dares the sea in his dingy.